A growing body of research shows promising signs that the keto diet might be able to improve mental health. The keto diet is known to be an effective tool for weight loss, however its effects on mental health remain largely unclear. Recent studies suggests that the keto diet might be an effective tool for treating depression, and clearing up so-called "brain fog," though scientists caution more research is necessary before it can be recommended as a treatment. Any experiments with the keto diet are best done in conjunction with a doctor, considering some people face problems when transitioning to the low-carb diet. It's hard to ignore the keto diet. You see it in the news when celebrities are promoting it, decrying it or otherwise duking it out over the science. You might hear about it from friends who've lost weight by adopting the diet and are now full-fledged keto converts. Or you maybe know somebody with epilepsy who's used the diet to reduce seizures, as epilepsy patients have since the 1920s. 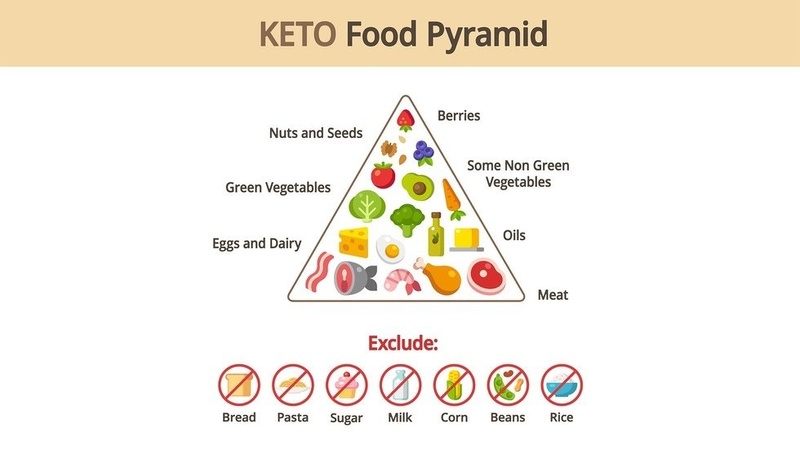 What's clear about the keto diet is that it's an effective tool for weight loss: When you drastically reduce the amount of carbohydrates you eat, your body eventually enters a state of ketosis and starts burning fat instead of carbs for fuel, resulting in weight loss. But what's less clear is how the keto diet affects mental health, particularly depression. "Six months on keto. Have lost 40 pounds. But the best result is how I feel. I've gone from waking up with dread and fighting suicidal thoughts off and on most days, to feeling energetic, positive, and only a rare, passing, suicidal thought. It is night and day! Omg. Thank you for all of your posts and support!" Of course, improvements like these might also stem from the simple fact that any diet that helps people lose weight, gain energy or otherwise gain a sense of control over one's life might also lead to improvements in mood and self-esteem. Still, recent research suggests that the keto diet might in fact be a useful tool in combating depression, and possibly other psychiatric conditions including schizophrenia and ADHD. A 2004 study, which tested the hypothesis that the "ketogenic diet may act as a mood stabilizer," showed that rats placed on the keto diet showed fewer signs of depression, or showed less "behavioral despair." A 2014 study on rats showed an even more surprising finding. The researchers put one group of mice on the keto diet, and one on a normal diet. The offspring of the keto group were more active and showed more development in several key areas of the brain, including the hippocampus, cerebellum and neocortex. These effects persisted even though the offspring weren't put on the keto diet themselves. "While these animal studies are placing research into KD on a firm footing and identifying some promising leads, on balance the evidence in humans is insufficient to form an opinion as to the efficacy or lack thereof of this intervention in the mental disorders reported." ​Why would the keto diet help depression? The keto diet emphasizes foods that are low in carbs and high in fat. There are a couple theories as to why the keto diet might help combat depression. People experience more symptoms of depression and anxiety when given proinflammatory cytokines. Chronically high levels of inflammation from medical illnesses are linked to higher rates of depression. Neuro-inflammation has been shown to play a critical role in the development of depression. "...when refined carbs and sugar serve as the brain's primary food source, the neural pathways are overwhelmed with free radicals and glucose, depleting our natural internal antioxidants and leading to excess oxidation and inflammation in the brain. When the brain draws its energy from ketones, fewer free radicals are produced, allowing our natural antioxidants to easily neutralize them without becoming depleted. Mitochondria, the "engines" of cells, may function more effectively, and neurotransmitters' journeys across synapses may be eased." Another main reason the keto diet might alleviate depression is that it seems to help the body produce optimal amounts of GABA, the brain's main inhibitory neurotransmitter. GABA is made from glutamate, which is the brain's major excitatory neurotransmitter. In order for your brain to function properly, it needs a balanced amount of both glutamate and GABA. However, in high-carb diets the brain often can't convert enough glutamate into GABA because it's using glutamate as an energy source. Having too much glutamate and not enough GABA leads to neurotoxicity, and this impaired functioning seems to cause what people commonly call "brain fog." What's interesting is that, for reasons that aren't fully understood, ketosis seems to encourage the increased production of GABA, reducing neurotoxicity, clearing up that brain fog and (at least potentially) alleviating conditions like anxiety and depression. If you're thinking about experimenting with the keto diet, make sure to consult your doctor before making the switch: It's well documented that your diet can greatly affect your mood, so it's best to know what you're getting into before making a major change. It's also worth noting that some people seem to encounter problems when switching to the keto diet. Sometimes these problems are caused by the inevitable period of low energy and weakness that one undergoes as the body adjusts to the dietary change, a period commonly called the "low-carb flu." Others might face complications caused by mineral deficiencies that stem from improperly implementing the diet. And still others might experience problems during the transition stemming from the symptoms of the very conditions they're trying to manage with the diet.